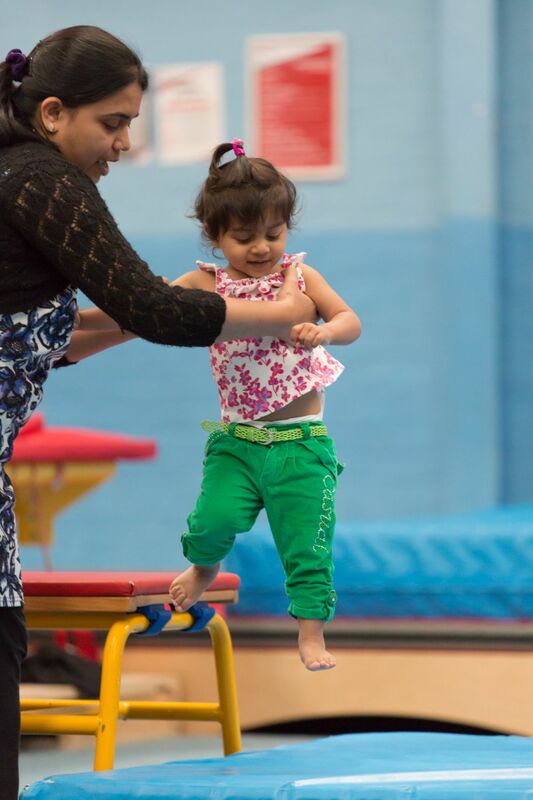 In Southampton Gymnastics Club's Tumble Tots class, the parent follows along, accompanying and supporting their child as they move through obstacles that develop strength, balance and co-ordination on each apparatus. 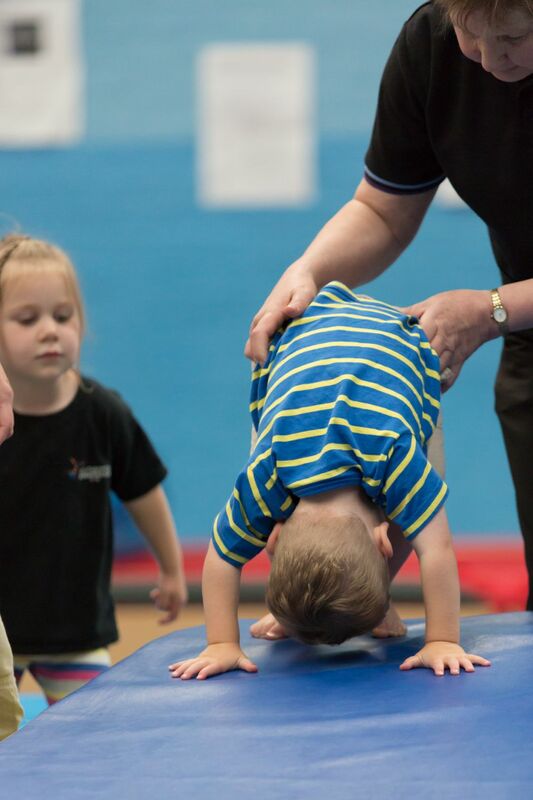 Our Tumble Tots class is great for developing core motor skills and learning basic gymnastics. This class is a structured session that starts with co-ordination actions to music and hand apparatus and also ends with a cool down to music. 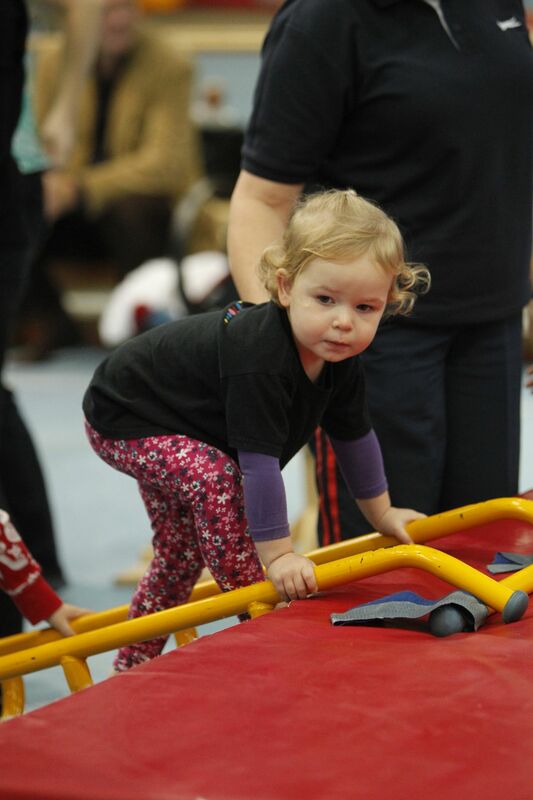 The middle section of the session keeps the children engaged and busy on the apparatus and obstacle course, where the coach will have set up a station for the Tumble Tots to learn gymnastics skills such as forward rolls, star jumps, safe landings and many other basic gymnastics skills. All classes at Southampton Gymnastics Club (Same site as Redbridge Community School), Cuckmere Lane, Southampton, SO16 9AR. How to register for a class today? 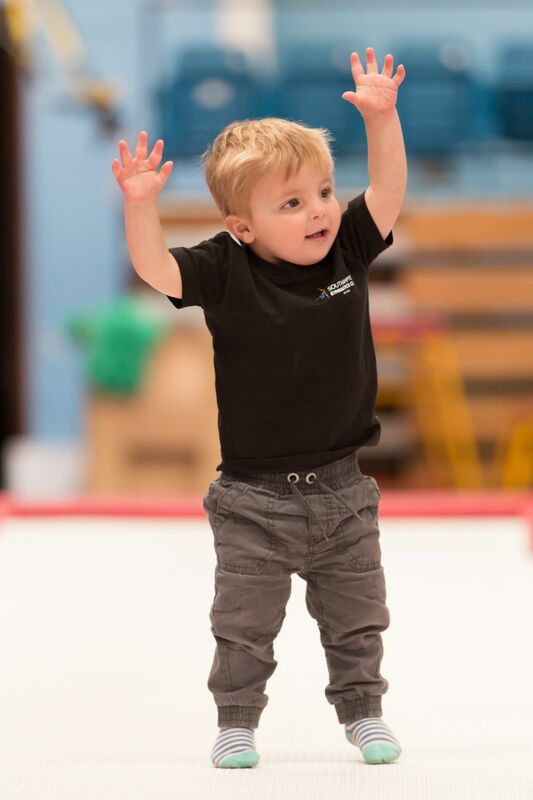 If you would like to register for a Tumble Tots class (some classes have waiting lists), please click here, to complete an online registration form. Once a space is available, you will receive an email to invite your child to a taster session. All information will be included on the email. If you would like to find out more information before registering, please contact us via email (admin@sotongym.co.uk) or phone (02380 529952).